The Client is a 20-year old Chiropractic Care provider with 11 specialist clinics in Singapore and 9 more in other countries in Asia and United Kingdom. The Client may already be a leader in chiropractic care in Singapore but as the business evolved from a one-man clinic to an integrated chiropractic institution, the business apparently demanded for use of more advanced clinical tools and processes, as well as a healthier and broader clientele list. 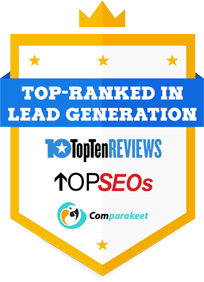 With the bolting new businesses in SIngapore in the last five years, the chiropractic leader opted to outsource their lead generation with Callbox, their top choice from among the list of five and which they saw as the most experienced provider to expedite goals achievement. 1. In the period where the Client had become preoccupied with upgrading their clinical tools and processes, business development was somehow relegated to second priority which inevitably impacted the Client’s database profile. 2. Callbox provided the Client with a well-filtered list by validating the target’s information details like business names, addresses, phone numbers, email addresses, social media accounts and all other contact details. 4. Responses like opened emails, website visits, clicked links, and queries were tracked via the Pipeline Lead Nurture Tool and were tagged for follow-up by the agents for appointment setting. 1. Callbox’s SMART Calling system was then used to draw the most qualified contacts that were filtered from the Customer Profiling campaign. 2. The Callbox team was able to call the right prospects at the right time when they were most available. 3. Probing questions were contributing factors in the team’s effort to filter the targets’ need which helped them come up with a priority list for the Client. 4. The said priority list enabled the Client to profile targets and customize the wellness program for each client. 5. Prospects who agreed to discuss were set as appointments. The chiropractic leader did not waste any time at all and wisely chose to roll out a three-month campaign. The first four weeks generated a total of 25 appointments. In the succeeding weeks, as more active contacts were verified via the lead nurturing process, the Callbox team was able to touch base with prospects and eventually generated 28 appointments at the end of the eighth week. Before the ninth week commenced, the team maximized the SMART calling process to reach more prospects, generating an additional 31 appointments in the last four weeks of the campaign. The three-month campaign delivered a total of 84 appointments.